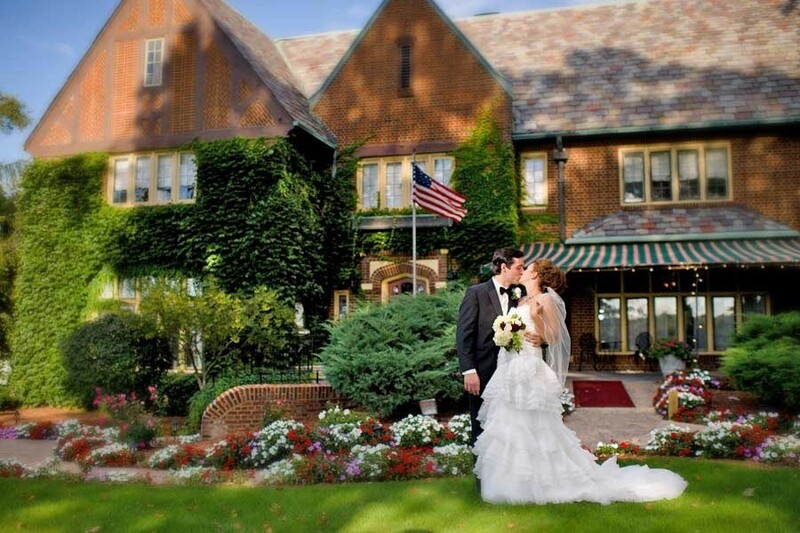 English Inn - A Most Romantic Lansing Wedding Venue! English Inn’s Medovue Hall is a rich and distinctive space capable of holding up to 200. Medovue Hall features a marble foyer, Grand Ballroom with crystal chandeliers, and windows overlooking the Grand River and gardens. A brick terrace provides both indoor and outdoor seating. English Inn can accommodate wedding ceremonies of almost any size, from big weddings of up to 200 guests to more intimate, smaller weddings. Our Tudor-Revival mansion offers four different dining rooms for intimate wedding receptions of 50 or fewer guests. Along with the natural and architectural beauty of our location, The English Inn Restaurant & Pub also offers excellent food. Our award-winning restaurant is perfect for entertaining, rehearsal dinners, and is ready to cater your wedding reception. Our 18-room, Lansing-area B&B is also able to provide on-site lodging accommodations for the bridal party, families, and many out-of-town guests. This means you can have your wedding ceremony, reception, and lodging all in one place! Now THAT is convenience! Flexibility, location, and expertise. These factors and more come together to make English Inn Restaurant & Pub the most romantic Lansing wedding venue around! Take a look at our wedding pages for more information. Feel free to call (800.858.0598) or email (info@englishinn.com) with any questions. English Inn’s dedicated staff of experienced professionals is waiting to assist you with your Lansing wedding plans!